Trusted Proxies service provides a great deal for SEOer’s. 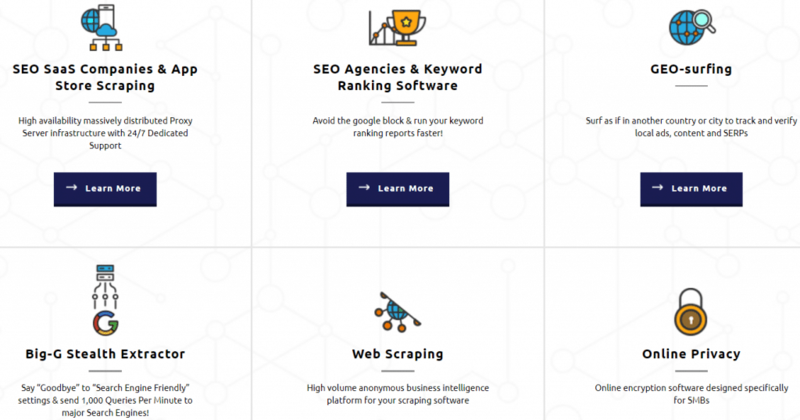 It’s solutions for Keyword Ranking Software, speed up your Keyword Ranking Reports with Private Proxy Servers compatible with a wide range of SEO software, eg Rank Tracker, Advanced Web Ranking, Web CEO and Market Samurai. You can find and track tons of Long Tail keywords you never had time to track, and discover where to dominate your competitors.Trusted Proxies provides Private Proxy Servers designed for legitimate “White Hat” only. All “Black Hat” for Internet Marketing is prohibited. No xrumer, mass mailing and Craigslist posting. You can get the free trial for 7 days and you can cancel it’s service any time, and come with a 7 day money back guarantee. Discounts available for quarterly, 6 monthly and annual subscriptions. Visa, MasterCard, Amex and PayPal all accepted. Trusted Proxies provides secure , fast and reliable Private Proxy Servers for SEM , White Hat SEO and Web Marketing Professionals. If you check out TrustedProxies and have some feedback, be sure to come back and share! Cheers! In short,TrustedProxies offer nice proxies for SEO as their promised,but it’s really not the best choice for the un-reasonable cost. incredible fast proxy servers, really fast than $2 per proxy.Web scraping that save my money and save my time.good service.it’s should on top 3.